Having grown up in a family of artists, Elyes entered the National Conservatory of Tunis to 6 years to study piano and violin. He obtained his National Diploma in Arab- Western music in 15 years. 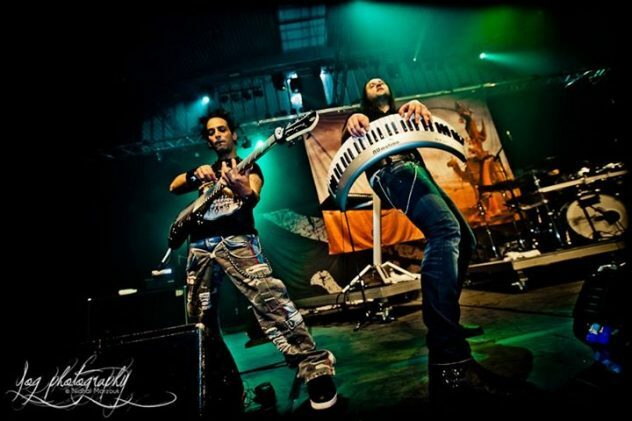 The first contact with the Elyes Metal music begins at age 17 alongside Malek Ben Arbia guitarist with whom he created the band Myrath three years later. Elyes continued his musical studies at the Higher Institute of Music in Tunis where he obtained his degree in musicology , after which he decided to continue his research in musicology at the University of Sorbonne. Known for his subtle musical arrangements , Elyes has established itself as an arranger , composer and performer, managing to subtly mix oriental and occidental music. 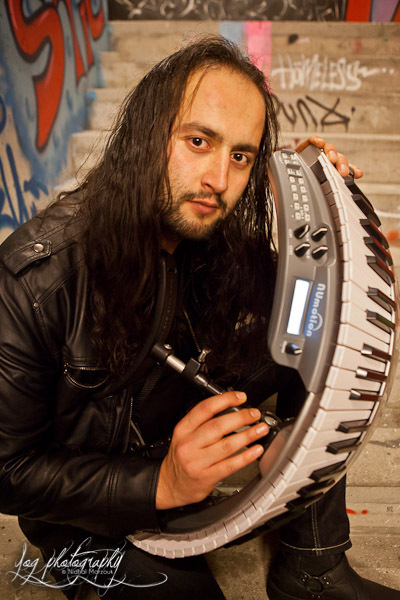 Discography : Myrath - Hope - 2007 , Aeon Zen - A Mind's Portrait - 2009 , Myrath - Desert Call - 2010 Lance King - A moment in Chiros - 2011, Myrath - Tales of the Sands - 2011, Amadeus Awad - The Book of Gates - 2013.